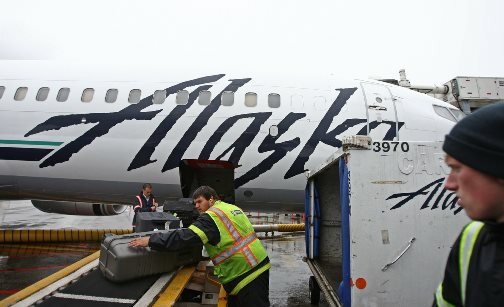 Ramp Service workers in Seattle offload an Alaska Airlines 737. The International Association of Machinists and Aerospace Workers (IAM) today announced that McGee Air Services, a subsidiary of Alaska Airlines, will begin operations in Seattle-Tacoma International Airport in early May, adding more than 800 new members into the IAM. The IAM-represented McGee Air Services workers will perform ramp service work previously performed by non-union Menzies Aviation. The IAM organized McGee Air Services in July, 2016. With the addition of Seattle to McGee’s network, IAM membership at the company will rise to approximately 1,200 in a little over six months. All of the work done by McGee Air Services—presently ground operations in Phoenix, San Jose, CA, Portland and now Seattle—was previously performed by non-union third-party vendors. “These workers now have union protections that they did not have before and a real voice in the determination of their future,” continued Pantoja. The post More Than 800 Workers to Join IAM in Seattle appeared first on IAMAW. 2017 IAM Journal – She’s Ready To Fight. Are You?